Blade & Soul Blade Master is considered to be a Warrior class that specialized in sword combat to deliver a variety of attacks. It doesn’t have high static defense but are good at parrying and evading their enemies’ blows then following up with counter attacks. Blade Master has race limitations and can only be played with the following playable races: the Jin and the Yun. Since Blade Master is an all-around martial artist who is both excellent in both defense and offense, it is played by majority of players. It has two available stance - Draw Stance or Basic Stance. According to the stance they have at the time, varying skills can be made available for the character. When a situation arises which can call for a powerful explosion of damage or protection, the Flock of Blades will prove to be useful. Though the time range is rather short, both stance can provide this skill. Since Blade Masters are armed with a wide range of attack and defense abilities, they are ruthless in the battlefield. Their attacks are lightning fast and painstakingly executed. And their defense are impermeable with effective evading and counterattack. 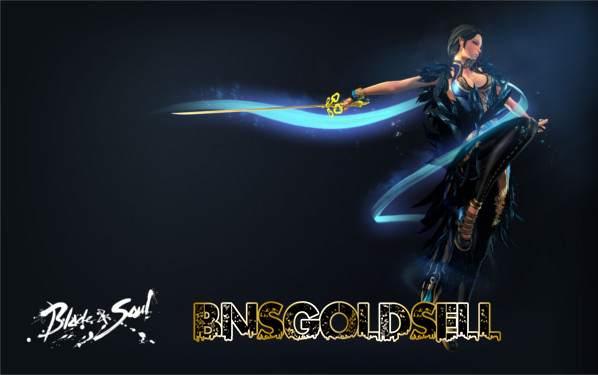 For good weapons, you can buy Blade and Soul gold from BNSGoldSell.com. It is quite easy and quickly to switch between stances for a Blade Master though it is in a fight, Blade Master has the ability to combine various forms of attacks from the Basic Stance or the Draw Stance which are impressively fast. Moreover, each stance also has different sets of skills which are different from others. One of the many skills that are really a sight to behold is when they have summoned the Flock of Blade technique. Fire and Lightning are the two kinds of damage that Blade Masters can deal. In general, an elemental damage can accompanies some skills. Skills will have higher damage dealt if the right items has been selected. In the long run, these type damages can be very useful when you reach the dungeons in the end game. Skilled Blade Masters can be of great help in a party as they can be very advantageous in distracting the boss to make way for other members in the party to complete what they are assigned to do. Besides, they can deal high-damage combos and keep the threat at a sustained level by moving on to a more defensive play style. It is quite important to keep the balance in switching stances when it comes to arena PVP. You should know that you deal high damage with abilities when in Draw Stance. If you are limited by conditions or restricted in movement frequently, having a high possibility for damage may be useless.